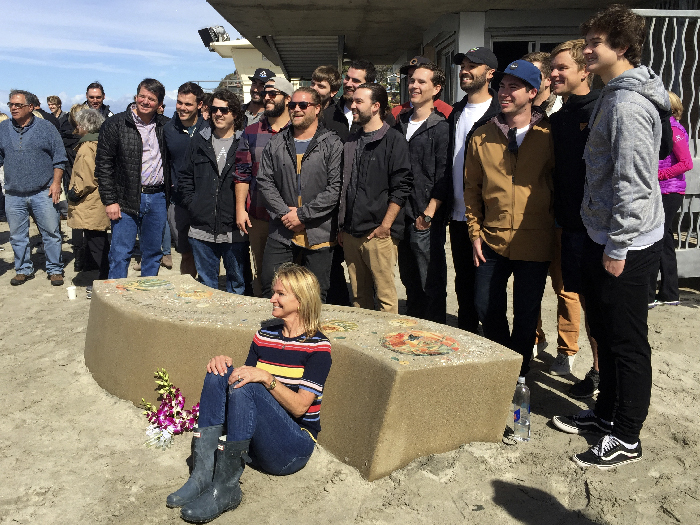 The Moonlight Beach Tribute Bench is a gift of the Mossy Family in honor of their son, John Mossy. 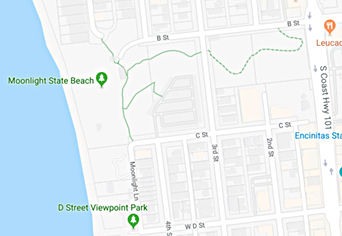 Stephen Dalton Architects designed the bench. 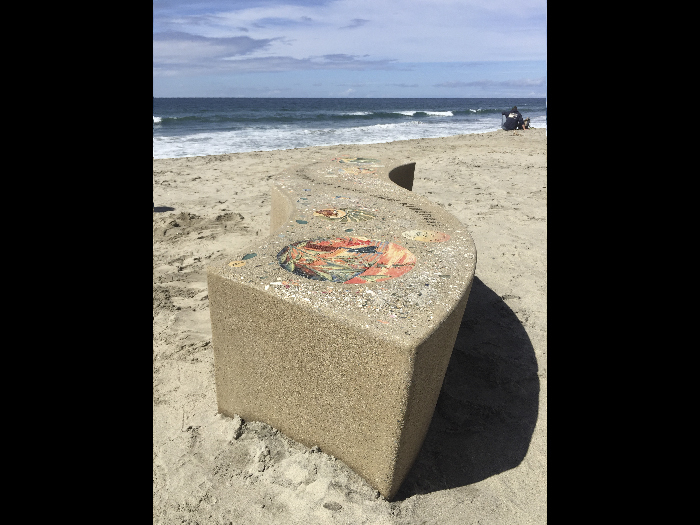 Betsy K. Schulz made the low-relief sculptural ceramic tiles to reflect John’s love of the beach and the surrounding nature. 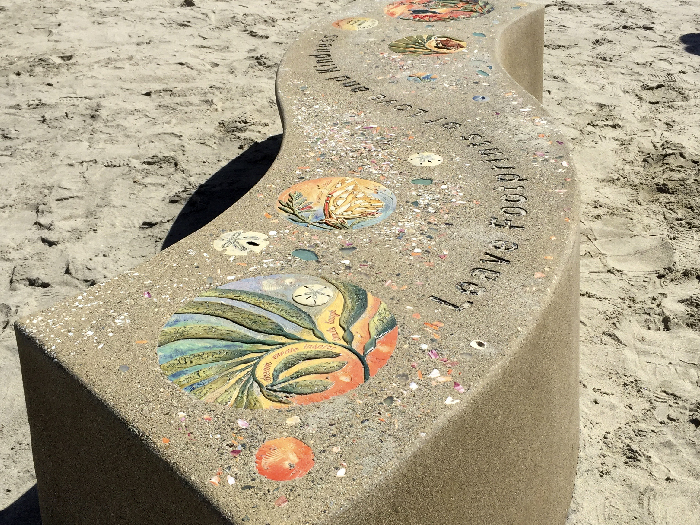 T. B. Penick formed, poured and moved the bench, to it’s current location, Moonlight Beach.